These cupcakes include all the fun without the calories! 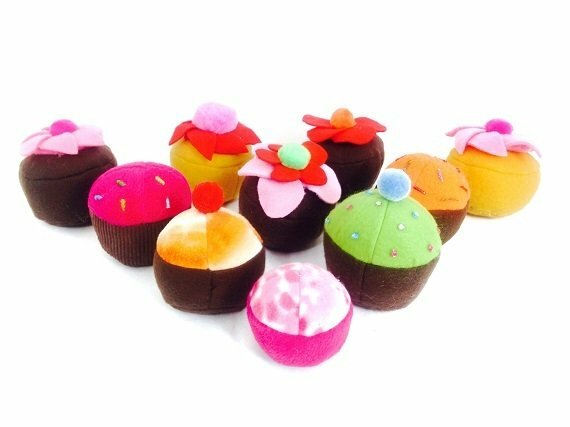 Create your own collection of delicious plush cupcakes so your little ones can run their own cupcake shop. Perfect for make believe tea time! Your pattern also includes a copy of Kitty's Magic Cupcake, a fun short story for kids. Read the story to your little ones and then make your own magic cupcake! Makes it even more fun and interactive. - 1 PDF sewing pattern with instructions and pattern pieces to create 2.75" - 4" size plush cupcakes.